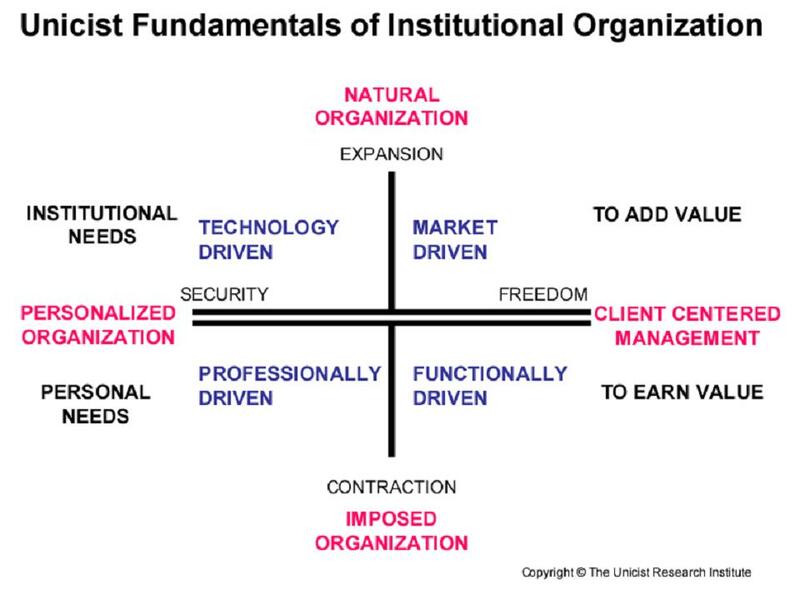 Organizing implies having the natural organization model that corresponds to the business. It requires having a client centered orientation to add and earn value and an equilibrating personalized organization that satisfies both institutional and personal growth needs. 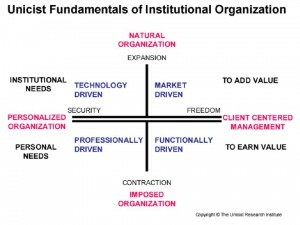 Institutional Organization works within the limits of the necessary imposed organization to ensure the minimal strategies of the business. Maximal strategies are driven by the natural organization, but minimum strategies need an operational approach in order to ensure results. A natural organization requires the independence of the companies and their members, in order to be able to build interdependence among them. Excerpted from “Weston Group Second Opinion Diagnosis”.